I love seeing this family grow every year! 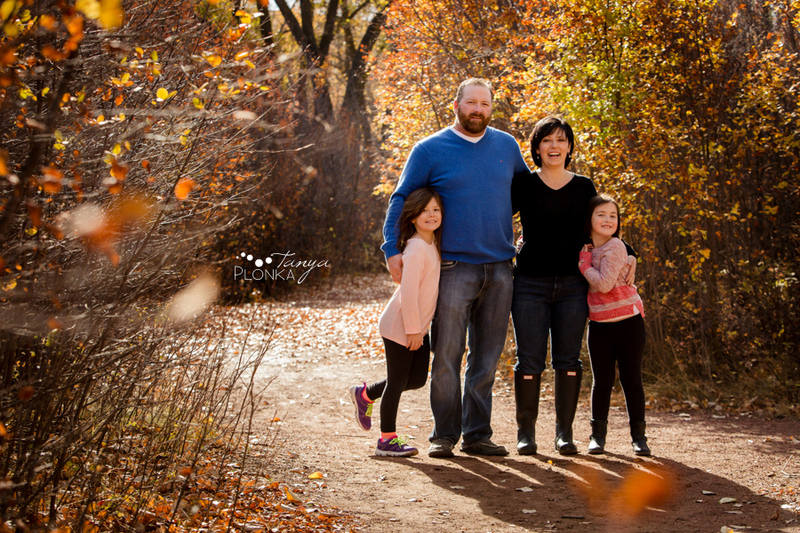 Melissa and Schuyler brought their children out for Pavan Park autumn morning family photos on the tailend of the season. We were very lucky with this beautiful day as we had to reschedule once due to a huge blizzard! 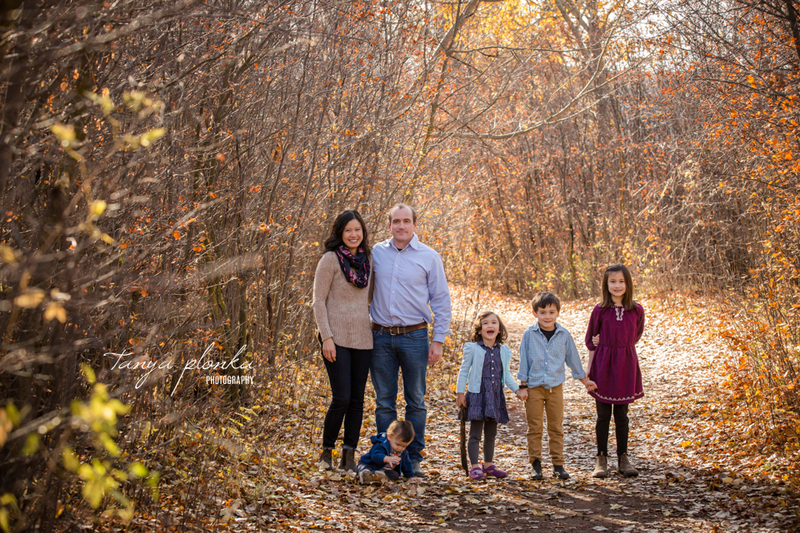 These are their first full family photos since their littlest arrived (he had his own newborn session while his siblings were out of the house on adventures). It was adorable seeing how much his brother and sisters looked after him. Whenever he fussed, they tried to cheer him up, and they helped Mom and Dad pack him around. We’ve traditionally done their family photos around their home instead, so this was a new experience with lots of exploration opportunities. The kids loved throwing the leaves, exploring through the trees, and sliding down the banks to the river. Each day in October last year was a total surprise for what the weather would do. The day before Lana and Jamie’s session we had snow, and for theirs it warmed up at the cost of a wind warning! We tucked ourselves deep into the river bottom to escape the wind and found the last few leaves before the wind took them all away. 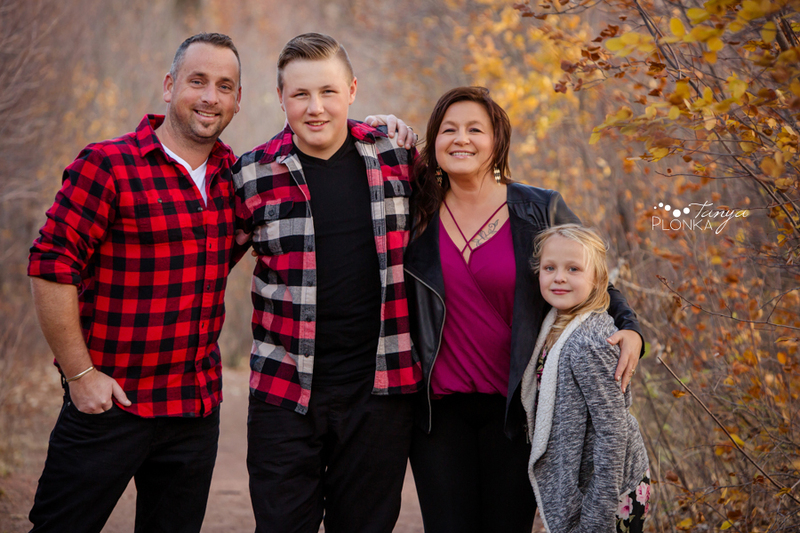 Their Pavan Park late autumn family photos had just enough colour left and tons of leaves to throw in the air for some fun action shots. Lana and Jamie have raised such a friendly family and they were so easy to work with. Being close to each other comes so naturally to them! 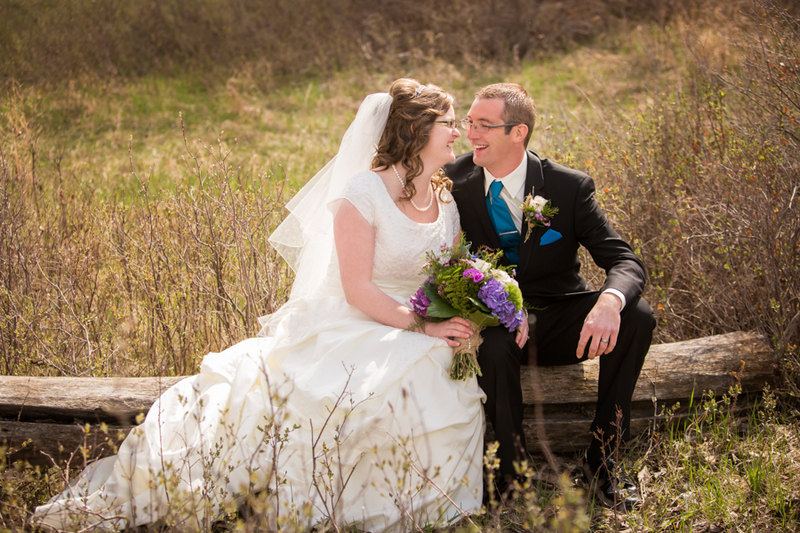 Bailey and Wes held their Lethbridge Pavan Park early spring wedding at the John Martin Recreation Area. They had a very intimate outdoor wedding ceremony with their immediate family and a handful of friends. They were so lucky with the weather, having a warm spring day with enough cloud cover to keep the temperature perfect while rain held off until much later in the evening. Bailey wore a beautiful fitted lace dress. Their deep red accents really popped against the neutral warm tones in the river bottom. We managed to find a few spots where the leaves were starting to make their appearance in a subtle green glow. It was hard to ever put our cameras down because this was probably the giggliest wedding we have ever done! Everyone included in their wedding was so positive and constantly making jokes. The wedding party had each other roaring with laughter non-stop. Any photo where everyone looks serious took intense concentration and usually ended with a smirk sneaking onto at least one person’s face. Surrounded by that much laughter, they are definitely going to have a happy marriage that is full of joy. Earlier this year I had another opportunity to second shoot for the lovely Photography by Andrea Hulst when she invited me to Henk and Melinda’s wedding. We started the morning in Picture Butte while the couple got ready at their family homes and then joined them at the Netherlands Reformed Congregation for their ceremony. 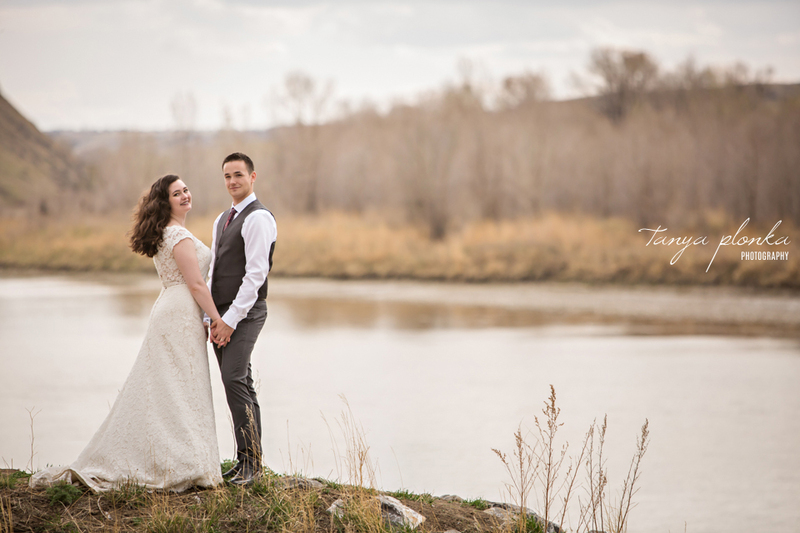 We spent the rest of the afternoon doing their early spring Lethbridge wedding photography around the river bottom parks, hunting for the first signs of spring that were starting to appear.